With an embattled property tax vote looming, the Baldwin County Public School System yesterday sent out a letter instructing bus drivers and other transportation department employees not to use two area gas stations owned by a county resident who openly opposes the tax hike. Kevin Spriggs, owner of the Malbis Shell Station at State Highway 181 and U.S. Highway 90 and the Jubilee Shell Station at U.S. 90 in Daphne, told Lagniappe a BCPSS employee informed him about the letter but also noted as of Friday morning, he has not been personally contacted by school officials. According to the letter sent by BCPSS Transportation Coordinator Michael Vivar, bus drivers and department personnel “CANNOT” fuel school buses and vehicles at either location, per the superintendent. The letter provides two alternate gas stations to use as fueling sites in the same vicinity. 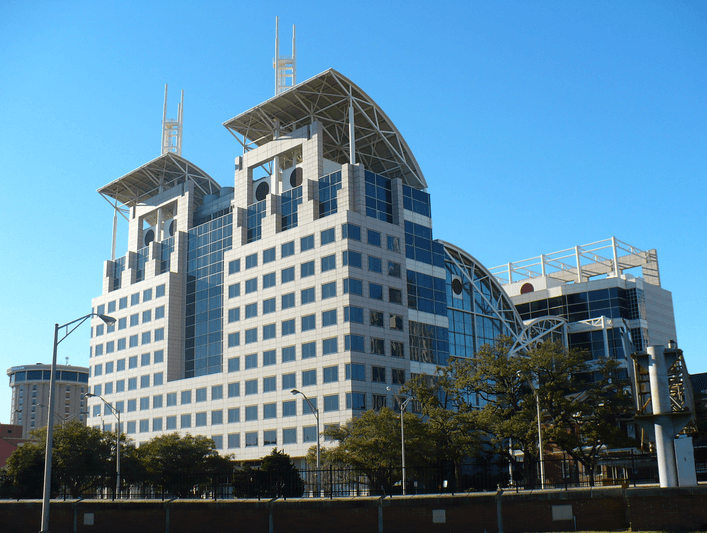 “It appears to be like a command letter,” Spriggs said. 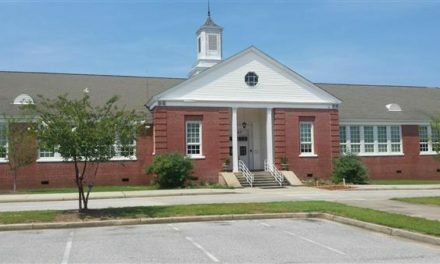 Spriggs, who has owned and operated the gas stations for about 15 years, said he does not believe the letter has anything to do with the fuel program between his gas stations and Baldwin schools, as the school system’s discounted gas prices are based on a negotiated price with a card service in which BCPSS had agreed. The school system’s proposed 8-mill tax increase in ad valorem tax would bring in an additional $28.6 million in annual revenue to ultimately fund a $350 million capital plan to accommodate a growing number of students. Groups like the Common Sense Campaign Tea Party and organizers behind Educate Baldwin Now, a website launched just this week, are also in opposition of the tax increase. Spriggs said he does put political signs on the right of way near the road by his business and has a table set up in the far corner inside Malbis Shell, where customers can pick up yard signs and informative literature if they choose to do so. However, he assured there is no active campaigning or protesting. While Spriggs said some people have told him he should seek legal recourse, he said he’s not interested in pursuing any formal charges at this time. A BCPSS spokesperson could not immediately be reached for comment this morning. 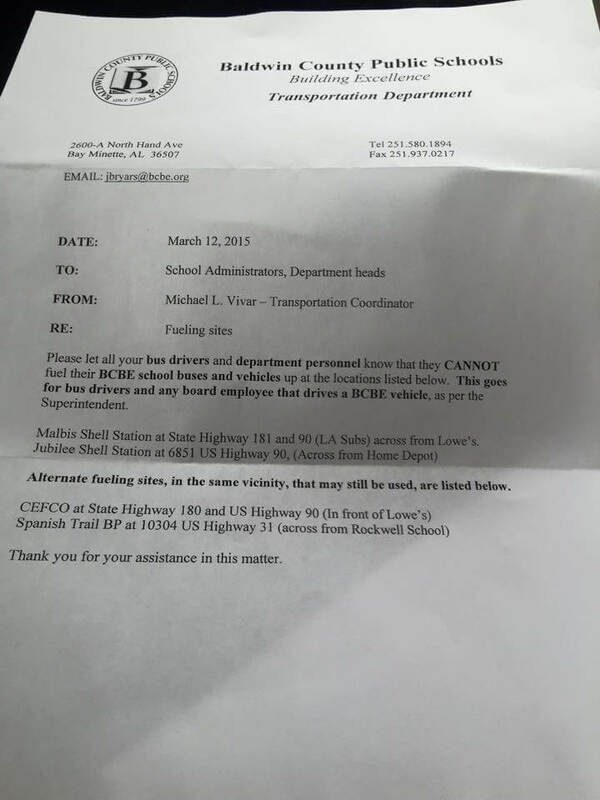 A letter sent by Baldwin County Public Schools Transportation Department on March 12.